Jesus Pigs - Walk on Water! 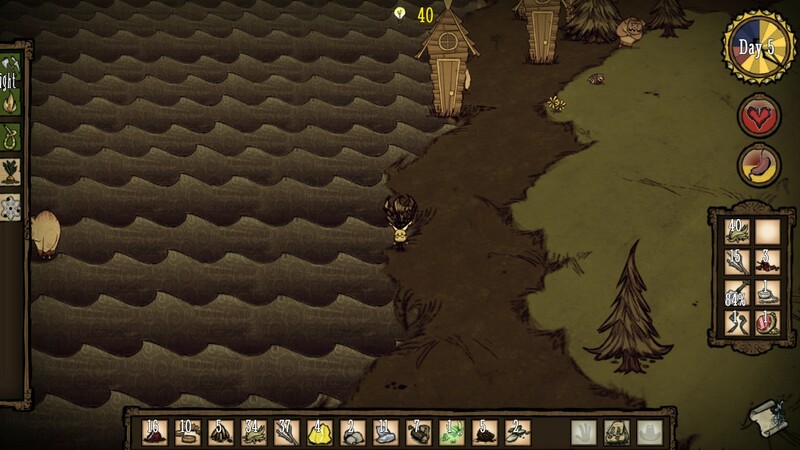 Happens when a pig village spawns on/next to the ocean. Was exploring when I found some Jesus Pigs, thought it was pretty cool, but obviously a bug. Didn't know what category to put it in, but I guess since you can't interact with the pigs on the ocean it kind of affects gameplay. I also can't find the version number, but I bought it today and I know the most recent patch was around the 27th or 28th of November. Nothing done by me, it is part of the generation of the world. I have only a picture that a grave and a gold nugget lay outside the land, so that I can not access this. But I can not add the picture there ... insert image option is not available ... so I will add it with a answer to this report. ... there is the image. I found a pine and a habbit in this same conditions! This also seems to occur when you befriend pigmen and they attack enemies off-screen. 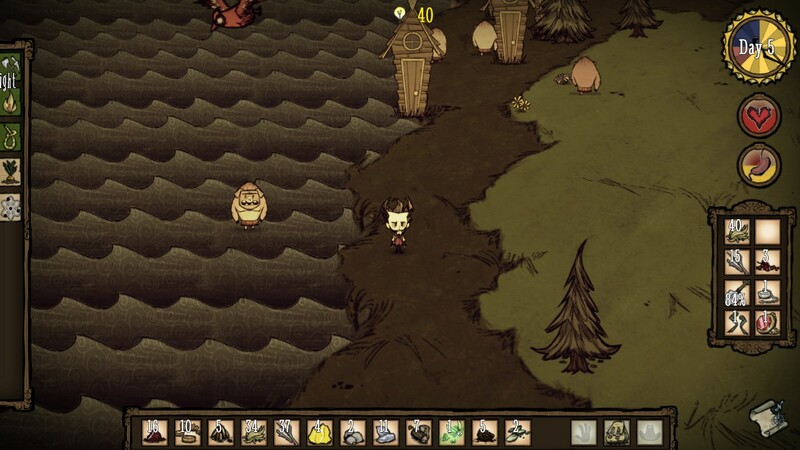 The pig men appear to chase the enemy all the way to the end of the island into the ocean. I find that when pigmen are befriended and attack enemies off-screen in a form of defense, they will chase the enemy into the ocean and stay stuck there. They do not respawn at their houses the next day, nor a few days later. I find the only solution to this problem is to stay near the ocean and attack the pigs when they approach the beach in order to kill them. Yes, I've found things on the outside of the island on multiple occasions! Items outside the island are inaccessible, and mobs outside of the island can't get to you, though they can hurt you if you get close. 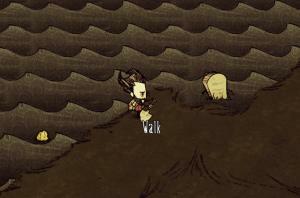 EASY WAY TO REPRODUCE A RELATED BUG: Plant a spider den at the very edge of the map, preferably at a corner-like edge. Attack the nest. Usually, two spiders spawn in the normal world, and can chase you, while two spawn on the outside. The ones on the outside will track you, but they will be blocked by an invisible wall. You can still kill them from the inside, but their silk will sometimes drop in an inaccessible place and stay there forever. I see the same issue in one part of the map. Probably the same base bug for all of these. So merged for convinience. I believe we have this being worked on. I will update monday.